If you’ve been to the State Fair of Texas, there’s a good chance you’ve also had a Fletcher’s corny dog, the quintessential fair snack consisting of a hot dog wrapped in a cornmeal crust that long preceded the fried-food hullabaloo. If it’s been a while since you’ve had a Fletcher’s corny dog, you may spot a difference in the dog itself. Fletcher’s changed vendors a few years ago and now uses a hot dog provided by Syracuse. via Fletcher’s reveals secret behind State Fair corny dog greatness – CultureMap Dallas. The Fletcher’s Corny Dog, first sold at Fair Park by brothers Carl and Neil Fletcher in 1942, is undoubtedly one of the most iconic pieces of the State Fair of Texas’ history — next to Big Tex, of course. The Fletcher brothers claimed to be the inventors of the modern corn dog, and although a few other businesses say they came up with the idea first, it’s hard to beat the original corny dog’s fame. Julia Child, Oprah and Mikhail Gorbachev have all taken a bite. To create the granddaddy of fairground food, you start with a stick. 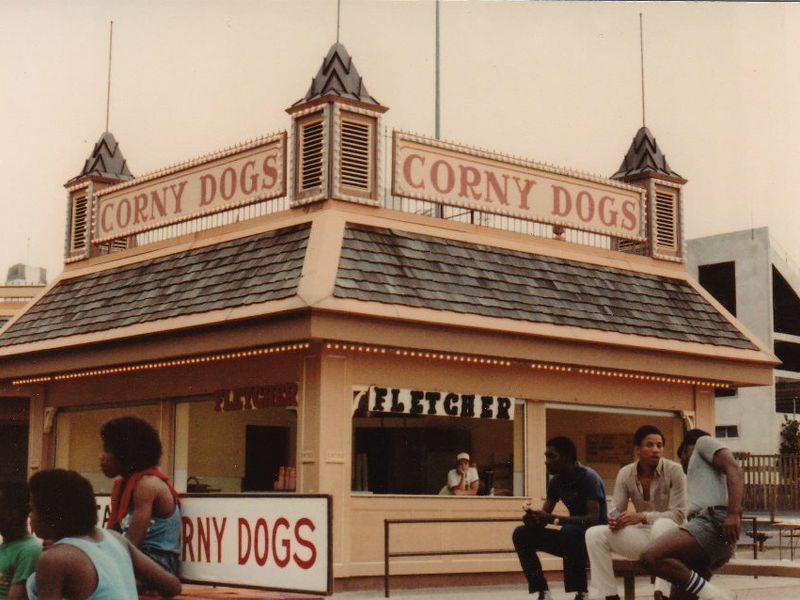 “One of the secrets to the corny dog’s success, believe it or not, is the stick … you can eat it as you go,” says Bill Fletcher, co-owner of the iconic Fletcher’s stands found only on the grounds of the State Fair. Plus, Fletcher says, they hand-select each weiner. Try finding another vendor who takes that much care with their tube meats.